Did you feed your baby's brain today? That's a question the Aliso Viejo Family Resource Center and its partner, Read Aloud 15 MINUTES, want parents and caregivers everywhere to answer with a resounding, "Yes!" The Aliso Viejo Family Resource Center is extending the important mission by sharing "Let's Talk: Nourishment," a series of messages during October that encourages parents to seize responsibility for nourishing their children's brains as well as their bodies. The Aliso Viejo Family Resource Center and national nonprofit Read Aloud 15 MINUTES are united behind the idea that when children everywhere are read aloud to for at least 15 minutes every day, from birth, it will change the face of education in the United States. "From the moment babies are born, parents devote so much energy to keeping their children well nourished," said Read Aloud 15 MINUTES founder Dr. Candace Kendle. "We want parents to make the connection that babies' brains are also in need of food: brain food." Brain food comes in the form of exposure to vocabulary; knowledge-building; and rich interactions with loved ones. Reading aloud checks all of these "nutritional" boxes. "One of the best activities for nourishing a baby's brain is reading aloud together for at least 15 minutes every day from birth," she said. During October, the Aliso Viejo Family Resource Center will join more than 900 other Read Aloud 15 MINUTES partners throughout the country to help spread this important movement by sharing the "Let's Talk: Nourishment" messages with residents. As a Read Aloud 15 MINUTES partner, the Family Resource Center participates in three annual "pulses" centered around the importance of daily reading aloud. Read Aloud 15 MINUTES is a nonprofit organization that is working to make reading aloud every day for at least 15 minutes the new standard in child care. For more information, visit: http://www.readaloud.org/. Tooth decay is one of the biggest health issues among children, accounting for over 51 million hours of school time lost every year. What’s more, poor dental health in youth can lead to chronic problems like discomfort, difficulty chewing and the need for painful and expensive procedures down the road. An annual back-to-school dental checkup is an easy way to help prevent these problems. It’s so important, that several states — including California, Oregon and New York — actually require children to get a dental exam before entering public school. Regular dental exams do more than catch tooth decay. 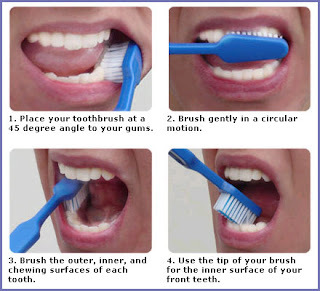 They also let us see if teeth are growing in properly, monitor the results of their brushing and flossing techniques (and give lessons, if necessary), and apply fluoride treatments or protective sealants that can prevent decay before it happens. 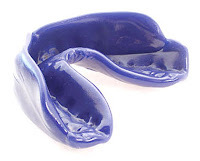 If your kids play sports or engage in other activities that might cause oral injuries, we can fit them for protective mouth guards. If your kids are in college, planning checkups during school breaks can ensure that they’re receiving regular professional dental care. And even if they’re too young for school, your kids are probably old enough to go to the dentist. The ADA recommends babies start seeing a dentist when their first tooth comes in, usually when they’re between 6 and 12 months old. 1. Buy new toothbrushes: While they’re getting new notebooks, pens and other supplies, why not let them pick out a new toothbrush? While you’re at it, pick up two — one for home and one to bring to school. 2. Make a dental care kit for school: To encourage them to brush after lunch and snacks, buy a zippered plastic-lined bag and include a toothbrush, toothpaste and floss. 3. Pack dental-friendly lunches and snacks: Fruit, nuts, string cheese and bottled water are all good choices. Avoid sticky foods like raisins or fruit leather, as they can cause cavities. 4. Start a reward system: Encourage good dental exams like you encourage good grades — with a prize like a night at the movies, a new video game or other coveted item. A pregnant woman who has a tooth ache might hesitate before seeing a dentist, wondering how safe treatments might be for her future baby. If you are pregnant, the thought of taking dental x-rays might scare you off from visiting your dentist, because you are not sure how the radiation would affect your baby. Some future mothers would even hesitate to go for a regular dental check-up, not knowing if routine x-rays can harm the baby. These worries are normal for a pregnant woman to have, especially if it’s her first baby and she wants to take every precaution not to harm him. If you are suffering from a toothache or if you have a dental emergency, you would think that your dentist ideally needs a proper x-ray to detect what the problem is. Dentists and doctors generally do not recommend that a pregnant woman takes x-rays during the first trimester of pregnancy. Furthermore, routine X-rays, which are usually taken during a dental check-up, should be postponed until after childbirth. Emergency X-rays can be safe, if not carried out during the first three months of pregnancy. Your dentist uses a lead blanket to cover your body and protect your uterus from any radiation. That way your baby is almost totally protected. Some dentists would also do treatments needing multiple x-rays, such as root canal therapy, but that remains controversial. If you are not sure whether you should start a major dental treatment when you are pregnant, you can discuss it with your dentist. There’s a possibility of starting a major treatment by removing tooth decay or any infection on your tooth or on your gums. Full treatment can be finished after you have given birth. 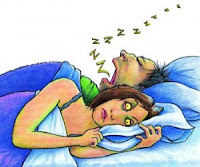 Therefore if you are suffering from dental pain, do not ignore it and call your dentist! What Is ClearCorrect? ClearCorrect is the clear and simple way to straighten your teeth without wearing braces so you can show off your smile! Looking for an alternative to braces? ClearCorrect is the clear and simple choice. No wires. No brackets. Just clear, convenient comfort—every reason to smile. With ClearCorrect, your dentist can straighten your teeth using a series of clear, custom, removable aligners. Each aligner moves your teeth just a little bit at a time until you eventually get straight teeth.